Le haut de style bralette présente une cravate soignée aux deux épaules et un rembourrage amovible. Le bas de la paire est très haute et offre une coupe ultra-flatteuse. 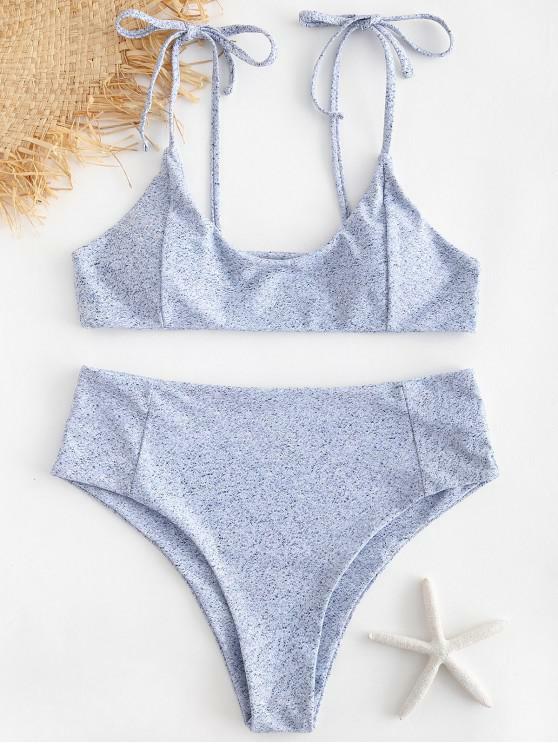 Highly recommend buying this bathing suit any bathing suit from this website. Fits perfectly and its nice material! Very comfortable and great material. True to size and by far one of my favorite high waisted suits! Nice material. Love the bottom shape. Making knots on shoulder kind wired but new style. Live this.